Sails Up 4 Cancer Inc.
Sails Up 4 Cancer is a non-profit organization dedicated to funding research in the education, prevention, care and cure for all types of cancer through the art and enjoyment of sailing. 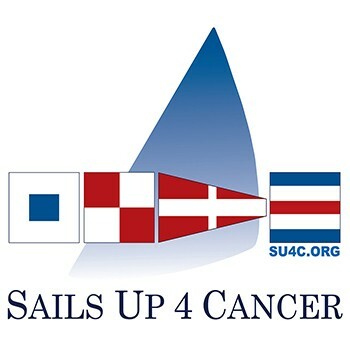 Established May 27, 2011, Sails Up 4 Cancer serves the needs of cancer patients and affiliates in Southeast Connecticut. Fundraising events educate the public about the plight of cancer as well as help cancer patients find integrated treatments and ways to ease the suffering of cancer. Sails Up 4 Cancer uses the proceeds of these fundraising events to help families that need additional support for cancer-related activities. Get a great vehicle and support a great cause. With every new Subaru purchased or leased, Subaru will donate $250 to your choice of charities*. Holmgren Subaru will also support your local community by donating an additional $50 to Sails Up 4 Cancer Inc. for each sold or leased vehicle. November 15 through January 2. We have been able to provide financial assistance to well over 50 families suffering from stress & despair while battling cancer & the inability to meet many of their financial obligations due to lack of income.